It's not uncommon for the recently deceased to be displayed in their coffins wearing jewelry that was of great importance to them in life. 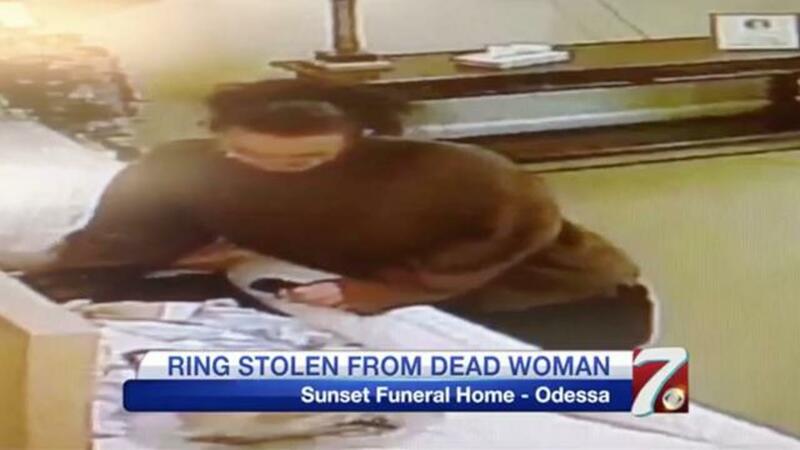 Authorities in Odessa, Texas are investigating an incident in which a person walked into a funeral home and allegedly pulled a ring off of a dead woman, reports KOSA. The surveillance footage shows her walking into the facility, approaching the coffin, and touching the woman's hand. According to ITV, soon after, the suspect leaves, climbs into her car, and drives off. The family of the deceased says the woman did damage to their late relative's finger in the process of taking the ring, reports KWES.